This league awards points for placings on veteran standard. Robert and Tim tied for first place, followed by Richard and Jason. Helene takes the women's veteran league with Steph in second place and Katja in third. Placings for first claim NBRC members...this table uses the same points as the main Open TT League. Congratulations to Tim who takes first place on the back of a really solid season. Andy took second and Robert third. Points are awarded for placings according to veteran standard - best 7 events count. 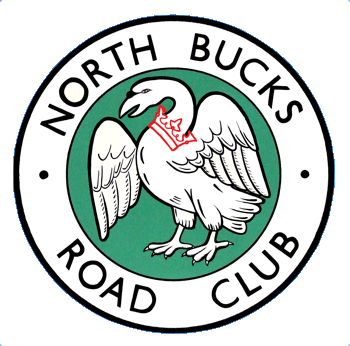 This league is for NBRC first claim members. Tim and Robert tie for first place, followed by Andy and Chris. Helene was first in the Women's vet league, followed by Steph. Well done to all, and apologies for the time it's taken to get these league tables sorted. Here's the Open time trial league results for 2017. Points are awarded for placing, with the 7 best results countin. So well done for Barry for the win, with his unassailable 1050 points, followed by Tim and Chris. This Sunday sees the 2017 Hill Climb Championship. First rider will start 9.01am. We're using the Three Locks course, meeting in the car park by the canal bridge at the bottom of the climb. Entry is £3 (members) £5 (non-members). All are welcome: make sure you turn up in time to sign on. You'll need a mechanically sound bike and a bike helmet. We recommend the use of a rear light. You need to be 12 or over to ride time trials; if you are over 12 but under 18 you will need permission from a parent or guardian to take part (download a permission form in pdf format and in Word format). Make sure you have familiarised yourself with the course, and remember that time trials are held on open roads - take care and be observant of other road users!